Not you? Click here to reset this form. No acronyms. Please use the full organization name. ARCUS would like to announce that we are making some changes to our Arctic Research Seminar Series. The largest change will be that in-person seminars will no longer be solely based in Washington D.C. In-person seminar locations will now vary depending on the location of the presenter. The live webinar option will still be available for those unable to attend in person. The ARCUS Arctic Research Seminar Series invites leading Arctic researchers and community leaders to share, both in person and via simultaneous webinar, the latest findings in Arctic research and what they mean for decision-making. The events are free and open to the public, and will be of particular interest to interest to the international Arctic research community, federal agency officials, congressional staff, non-governmental organizations, Arctic educators, and the public. Registration is required for the both the live seminar as well as the live-streamed webinar associated with each event. The location of the in-person seminar will vary depending on the location of the presenter. For those of you on Twitter, we also invite you to join our online discussion of each event using the hashtag #arcuswebinar. The ARCUS Arctic Research Seminar Series is made possible with support by the National Science Foundation under Cooperative Agreement No. PLR-1304316. We would also like to thank the Polar Research Board for their generous in-kind staff support during seminar events. Please contact Stacey Stoudt at stacey [at] arcus.org with any questions. To receive information about future seminar/webinar events, please subscribe to our mailing list here. 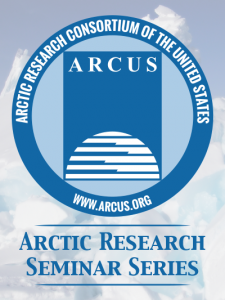 For videos of past ARCUS Arctic Research Seminars, please visit our seminar/webinar archive here. Since 2006, a number of surveys have explored U.S. public knowledge and perceptions about polar regions. At first glance, these seemed to show fairly high levels of public awareness and concern about polar climate change and related issues. Closer examination with increasingly sophisticated surveys uncovered a more complex picture, however. Some basic polar and Arctic knowledge questions, which link to people’s more general beliefs, are answered with reasonably good accuracy. But other basic questions that have answers not guessable from general beliefs tend to show lower accuracy or knowledge. Contrasting results on the “two kinds” of Arctic knowledge questions exhibit strong demographic patterns. Moreover, we see public awareness on some issues gradually rising over the years of these surveys, while on others it remains stubbornly flat. Although polar-knowledge survey questions might seem a narrow topic, these results highlight deeper characteristics of U.S. society today. Lawrence Hamilton is professor of sociology and senior fellow at the Carsey School of Public Policy, University of New Hampshire. Over the past 25 years he has studied human-environment interactions around the circumpolar North, from Alaska to Greenland and the northern Atlantic. 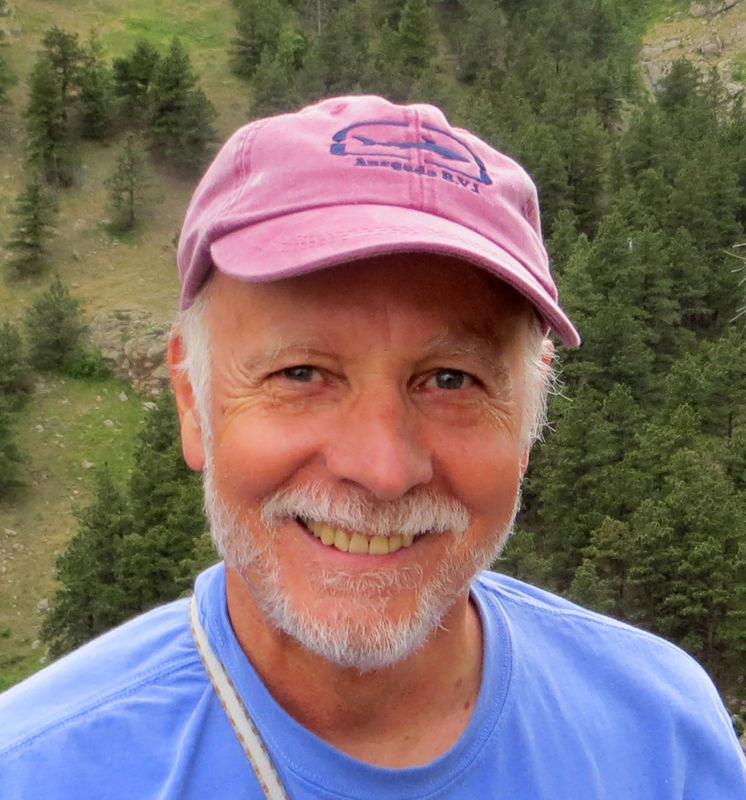 Much of his research involves collaboration between social and natural scientists, to investigate topics such as climate-linked migration in Arctic Alaska, fisheries crises in Iceland and Greenland, or the accuracy of predictions about sea ice. In addition to research on the Arctic regions themselves, Dr. Hamilton conducts large-scale surveys of public knowledge and perceptions outside the Arctic.